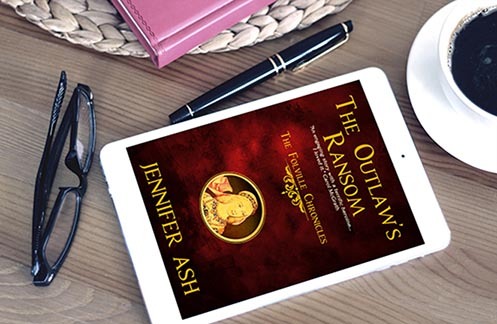 Influenced by a lifelong love of Robin Hood and medieval ballad literature, Jennifer has written The Outlaw’s Ransom (Book One in The Folville Chronicles) – a short novel, which first saw the light of day within the novel Romancing Robin Hood (written under the name Jenny Kane; Pub. Littwitz Press, 2018). Book Two of The Folville Chronicles - The Winter Outlaw - will be released in April 2018. 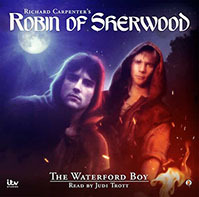 Jennifer Ash has also written two audiobooks based on the 1980s television series Robin of Sherwood -- "Mathilda's Legacy" and "The Waterford Boy". She is currently writing a third. 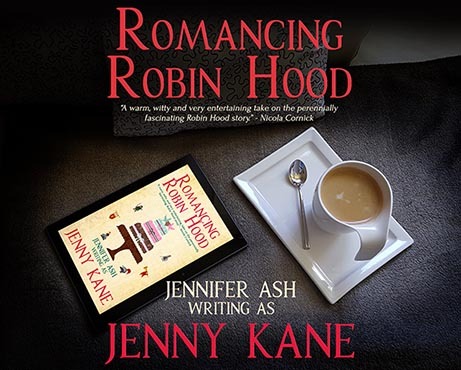 Under the name Jenny Kane, she has published several popular romance novels and short stories including Another Cup of Coffee, Another Glass of Champagne, Abi's House, Abi's Neighbour and Romancing Robin Hood. All of Jennifer and Jenny Kane’s news can be found at www.jennykane.co.uk. This interview was conducted by e-mail in March 2018. AWW: In Romancing Robin Hood your character Dr. Grace Harper reflects that her interest in Robin Hood started “with an instant and unremitting love for a television show” and that “It was all Jason Connery’s fault, or maybe Michael Praed’s?” I know you share her love of Robin of Sherwood, so how did you first get into the Robin Hood legend? JA:It all began for me when I was 14 years old. I had been off school with glandular fever for weeks and I was going mad with boredom, so my lovely parents popped along to Radio Rentals (TV and video hire shop) and rented a video recorder. They hadn’t been available long, and it was unbelievable to be able to record and watch whatever I liked when I liked. The very first programme my Dad recorded to test if the recorder worked was an episode from series 3 of Robin of Sherwood- "Adam Bell". Not only since that single episode have I been instantly fixated on Robin of Sherwood- but on the Robin Hood legend as a whole. I immediately wanted to know everything that there was to know of the legend- and the time period it was said to have come from. AWW: You’d established yourself as a successful writer of feel-good romance novels with books such as Another Cup of Coffee. How did Romancing Robin Hood come about? I like the balance between the present-day romantic elements of historian Grace balancing with her historical novel of the fictional Mathilda’s interactions with the real-life 14th century criminal family the Folvilles. JA: I’d always wanted to write medieval fiction- but like Grace in Romancing Robin Hood- I was wary of straying too far from historical fact. At the same time, I didn’t want to write something that was so packed with facts that it was dull, or textbook like. I also wasn’t sure I could do it. Writing historical fiction is a very different discipline to writing romantic comedy or feel-good fiction. Writing about someone in the here- and-now who was writing a medieval based novel- and including their book within that novel- gave me the perfect testing ground for both my ability to write crime and to see if Mathilda’s part of the story would be popular enough to develop into a standalone book. It also gave me an excuse to share my love of all things Robin Hood with my wonderful readers. AWW: In the present-day segments Grace has a lot of concerns in writing her historical novel – remembering the time of year, keeping the plot on track with a well-timed murder. What challenges did you have in writing a historical crime novel (or novel-within-a-novel)? JA: All of those things. Grace suffered with those problems because I was suffering them. She and I limped from problem to problem together- growing in confidence -or not- as we went along! AWW: You’ve spun the Mathilda section of Romancing Robin Hood off into its own stand-alone novel The Outlaw’s Ransom, the first in The Folville Chronicles series. Why did you change your writing name from Jenny Kane to Jennifer Ash for the new series? JA: That was a decision made purely for marketing purposes, so that there was a clear difference between the look of my historical fiction and my contemporary fiction. Often, publishers like authors who write across a variety of genres to adopt a new name for each one. AWW: What upcoming adventures can we expect of Mathilda and the Folvilles in future novels such as The Winter Outlaw? 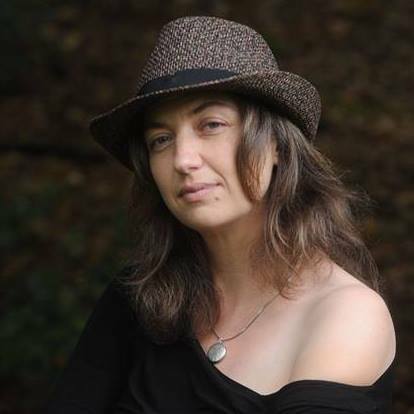 JA: You won’t have long to discover what happens to Mathilda and the Folville brothers next, for The Winter Outlaw is coming out during the first week of April. I won’t spoil it for you- but I will say that it is much darker that The Outlaw’s Ransom- and that someone is trying to take over the Folvilles lands. At the moment I am writing Book Three of The Folville Chronicles. It is to be called Edward’s Outlaw (the Edward in question being King Edward III). It will be published by Littwitz Press this coming winter. AWW: How did you come to be involved with the new Robin of Sherwood audiobooks? Many months later- out of the blue- Iain Meadows and Barnaby Eaton-Jones contacted me, asking if I would like to try and write a brand new RoS episode. I can’t even begin to describe how that felt! It was many weeks later before I heard that my episode had passed all the gatekeepers- Spiteful Puppet, The Carpenter Estate and ITV. I’m still stunned I got through. AWW: One of the characters you introduce in "The Waterford Boy" is James D’Marelle – the king’s recruiter for the wars in France, and an old acquaintance of Will Scarlet. There’s a flashback to Will’s time fighting in France in “Adam Bell”, the first Robin of Sherwood episode you watched. How did you come to flesh out the backstory briefly mentioned on the TV series? JA: It was homage to that very first episode I watched- "Adam Bell". It remains one of my favourites- and it was the moment I fell in love with Will Scarlet’s vulnerability. I always felt there was much more to say about Scarlet’s past- but obviously it would be out of character for him to share information about himself unless circumstances dictated that he had to. So I invented a scenario where that could happen. All of the characters within RoS have back stories to share; it was an honour to be allowed to embroider Scarlet’s past a little. 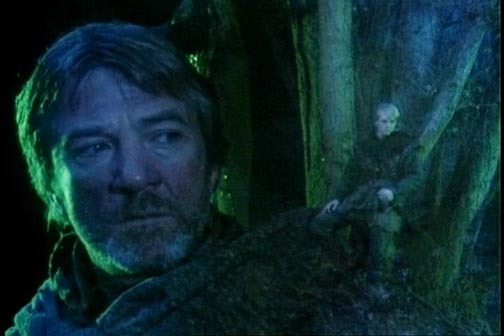 AWW: I thought of all the audio books, yours did the best job of capturing the tone of the original TV series? 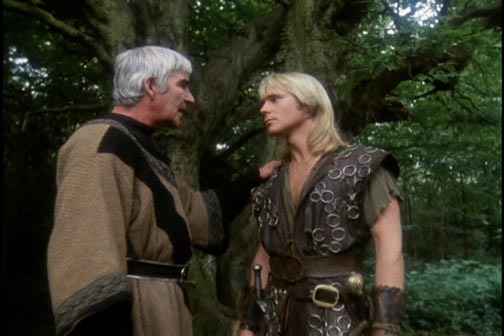 What do you think makes Robin of Sherwood so distinctive, and how did you take that into consideration when writing your script? JA: I’m honoured- thank you. I’ve thought a lot about what make RoS so unique. It was the perfect piece of television for a Saturday afternoon. Accessible family entertainment- with strong stories and strong characters- which stayed faithful to the original concept of the Robin Hood legend without being a slave to it. When I was writing my episodes I was desperate to stay within the original feel of Richard Carpenter’s concept. I wanted the fans of the show to feel like they used to feel when they were teenagers watching an episode for the first time. After all, although it would be wonderful to think we were writing for a brand new audience (and indeed we are in some cases)- for the most part we are writing for adults enjoying a nostalgia kick back to the 1980’s. It was that audience I considered most of all – I desperately don’t want to disappoint anyone by straying too far from what you’d expect from a RoS episode. AWW: So often in literary traditions, we see male heroes as a reflection of their father. I like that in "Mathilda’s Legacy" you establish Robin Hood (the Robert of Huntingdon version) takes after his mother instead? How did you craft Robert’s mother? JA: That is a really difficult question- Mathilda just appeared in my head one day. I simply knew how I saw her. Of course, other people may well have imagined Robert’s mother differently, and so my concept of her may have been off-kilter for them. To me it had to have been Robert’s mother who was his driving force. I couldn’t play with the nature of the Earl of Huntingdon. He is an established character within the series. Not only that- but he is bound by the pressures of his position and the will of his King. His wife however, when she’d been alive- would have spent more time with their son- and if she was as spirited as I made Mathilda to be- then it is little wonder that Robert favoured his mother’s attitude and tendency for careful rebellion. I called her Mathilda, because that really was the name of the Earl of Huntingdon’s wife. AWW: With both The Folville Chronicles and "Mathilda’s Legacy", you blend history and fiction. What’s your approach to interacting with genuine history? JA: I try and stay as close to historical fact as I can, but at the same time I never forget I’m out to entertain my audience. This is fiction and escapism. So, while my history is generally accurate, I wouldn’t use any of my dates for certain events as answers in a pub quiz if I were you! I do my research properly, as I would if I was writing a historical text book – and then I exaggerate or twist the situation to suit my story if I need to. AWW: Is there anything you can reveal about your next Robin of Sherwood audio book? JA: I can tell you it is called "The Baron’s Daughter"’ Beyond than I’m afraid my lips are sealed. AWW: What is it that appeals to you about the Robin Hood legend, and why do you think the tales have endured from the time of Folvilles to the present day? JA:During the time of the Folvilles’ (1320-1330’s) England was in a terrible state. Unrest was rife and the Crown was struggling to cope about years of rebellion, famine and disease. It is no co-incidence that songs of political satire and heroic ballads surged in popularity as people laboured the lands to stay alive. I think it all comes down to hope. However bad things are, there are stories about a person who is willing to fight back for us to take refuge in. Whether it is Robin Hood, King Arthur, or even Doctor Who- humans need fictional heroes to inspire them to keep going. We need stories to tell us it will be alright in the end. And the worse our reality gets, the more we need those fictions heroes and heroines. Interview with Iain Meadows, creator of Robin Hood audio drama at Spiteful Puppet. The Earl of Huntingdon - Search for a Real Robin Hood, a brief look at the historical Earl David and his wife Matilda. The OUTLAW'S RANSOM by Jennifer Ash. This is the standalone book from Romancing Robin Hood published separately and under a different author name. The text has been expanded slightly. Mathilda of Twyford - a potter's daughter - is kidnapped by the Folville Brothers, a crime family inspired in part by the exploits of Robyn Hode. To survive, Mathilda has to earn the trust of Robert Folville. It's murder and mystery with a dash of romance in the 14th century. THE WINTER OUTLAW by Jennifer Ash. Mathilda of Twyford's adventures will continue in The Winter Outlaw to be released in April 2018 and Edward's Outlaw to be released in late 2018 or early 2019. THE WATERFORD BOY by Jennifer Ash. King John’s chief recruiter, James D’Marelle is collecting soldiers for the war in France. The Sheriff of Nottingham and Guy of Gisburne see this as a chance to get rid of the troublemakers and impose a "people tax". One troublemaker that Gisburne wants to dispose of is a young Pagan boy named Alwin. Robin Hood and the outlaws get involved. And Will Scarlet encounters the man who once recruited him to fight in France. It is not a happy reunion. 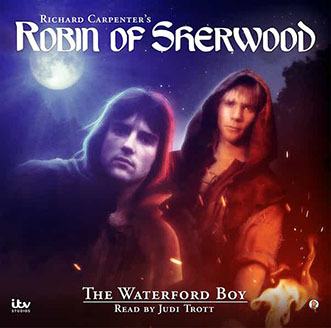 Read by Judi Trott (who played Marion on the TV series). MATHILDA'S LEGACY by Jennifer Ash. Earl David of Huntingdon realizes that his teenage son, Robert of Huntingdon (the future Robin Hood), takes after his mother. And so the Earl decides to tell his son the story of how he first met Mathilda, Robert's mother. It describes the siege of Nottingham Castle. Read by Michael Craig (who played the Earl of Huntingdon on the TV series). ANOTHER CUP OF COFFEE by Jenny Kane. Jenny Kane's first contemporary romance novel has been a Kindle best-seller. Thirteen years ago, Amy Crane ran away from everyone and everything she knew. When she receives an old mix-tape in the mail, she reinvents herself again, reconnecting with old friends and making new ones. The first in series of stories set around Pickwick's coffee shop. ABI'S HOUSE by Jenny Kane. This novel Amazon Romance, Contemporary Fiction, and Women’s Fiction charts. 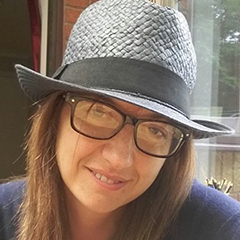 Newly widowed at barely thirty, Abi Carter is desperate to escape the Stepford Wives-style life that Luke, her late husband, had been so keen for her to live. Abi decides to fulfil a lifelong dream. As a child on holiday in a Cornwall she fell in love with a cottage – the prophetically named Abbey’s House. Now she is going to see if she can find the place again, relive the happy memories … maybe even buy a place of her own nearby? She makes new friends, but trouble looms in the form of her lecherous brother-in-law Simon. Interview text, © Allen W. Wright, 2018. All text, unless otherwise noted, and title graphics - © copyright Allen W. Wright, 2017. Robin of Sherwood audiobook covers by Spiteful Puppet. 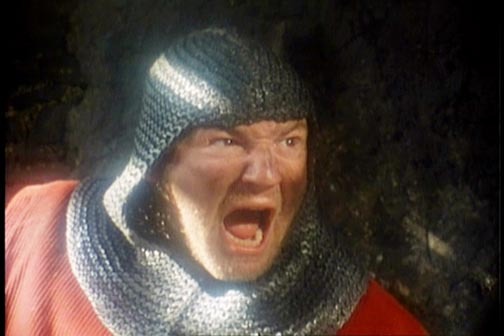 Images from "Adam Bell" and "Rutterkin" episodes of Robin of Sherwood are copyright ITV and used without permission under fair use.